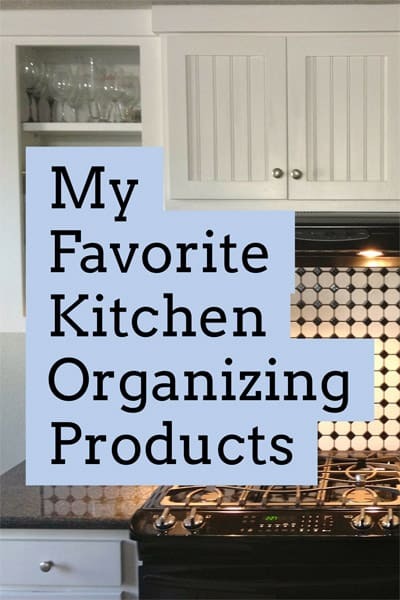 The exact size and style of organizing product you choose depends on the layout of your kitchen, the size of the space, and of course your personal organizing style. For a more detailed and personalized look at what will work for YOU and in YOUR kitchen, feel free to contact me for a free phone consultation to discuss my virtual organizing sessions, available nationwide, or in-person organizing sessions in the Raleigh, North Carolina area. I agree! It’s my favorite room to organize as well. The kitchen is an instant gratification organizing room. You can see how impactful the change transforms daily time management. Yes, kitchens are so much fun to organize! Thanks for commenting! I love so many of these products and use them all the time with clients’ kitchens. It is impossible to keep a kitchen organized without sufficient structures to hold things in place. Great list! I’m glad you like this list! Having the right organizing products to hold things in place makes a huge difference! Thanks for commenting! Those under shelf baskets are wonderful space savers! Thank you for the link and thanks for commenting!